Our experienced and local driving instructors have great knowledge of Wallington. If you are a complete beginner driver, they will take you to one of the wide, quiet roads to start your moving off and stopping driving lessons. You will be able to learn to drive by taking your Driving Lessons in Wallington and develop your driving skills without the pressure of other road users getting in your way. Your driving lesson plans will be structured around your individual needs. Wallington is ideal for lesson plans like emerging and approaching junctions with its large residential areas. Before you know it your Signal driving instructor will have you driving around the quiet roads. You will confidentially and safely be negotiating main roads like Foresters Drive leading into Stafford Road. Here you will have plenty of hazard situations to identify and deal with. Wallington High Street – Manor Road is a favourite for our Instructors to use on your driving lessons. Our driving instructors have excellent local knowledge of Wallington and are able to guide their driving students, enabling them to easily negotiate the local roads in Wallington. When learning about pedestrian crossings, even with the controlled traffic light crossings, there will always be that pedestrian not paying attention or running to catch their bus, which really helps to develop your driving awareness skills. With Wallingtons location the more advanced learner can take advantage of having Sutton and Croydon Town Centres nearby. Heading towards Croydon on your driving lessons you will be able to learn lane discipline driving along the A23 (Purley Way), or following the one-way system around Sutton. Your driving instructor will be able to guide you on the roads and dual carriageways with higher speed limits. Sutton Lane (B2218) is a single lane carriageway that has a 60mph speed limit as does Brighton Road A217. Remember to always check your speedometer after driving on faster roads. All our Driving Instructors in Wallington are CRB checked and registered with the DSA (Driving Standards Agency). 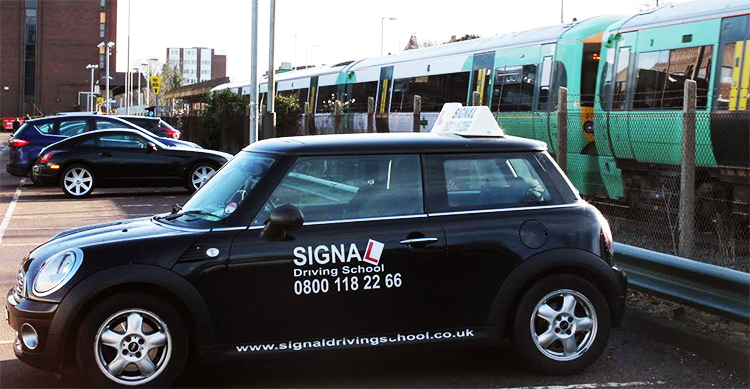 We also offer Automatic Driving Lessons in Wallington, with an experienced Automatic Driving Instructor.